I started playing the bagpipes many years ago as a young boy in a Pipe and Drum band based in Newport, South Wales. During that time I played at various events and functions, including piping at the Royal Albert Hall and Wembley Arena. Since leaving the band I have gained many years experience playing as a solo piper at weddings, parties, funerals, Burns Night suppers and corporate events. 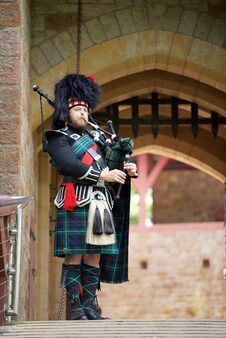 I have played the bagpipes at many venues and locations across South Wales including St Pierre Hotel, the Copthorne Hotel, the Llansantffraed Court, Cardiff Castle, Glanusk Estate, the Canada Lodge, the Old Rectory Hotel, Cwrt Bleddyn, Castell Coch, the Glen Yr Afon, the Angel Hotel, the Maes Manor, St Fagons Castle, Peterstone Court, the Bear Hotel, Fonmon Castle, Clearwell Castle and the Celtic Manor in Newport. What can you expect if you book me to play the bagpipes for you? I am an experienced bagpiper of high standard and professionalism. I am more than happy to meet with you, in person, prior to your wedding (or event) so that you can hear me play. I can always be contacted and will always respond to any questions or queries you may have. I have piped at many weddings across the UK and am more than happy to offer suggestions on how the bagpipes can enhance your event. I will provide you with written contract/invoice should you decide to book me. Please note that I would normally request a non-returnable deposit of £20 to secure the date for any bookings. I only ever take one booking for one wedding on each day; I will not be running off early to play at someone else's wedding. In order to keep your wedding special I will not post photographs from your special wedding day onto social media websites, such as Facebook, Twitter etc., immediately after your wedding. Likewise I will not post photographs from funerals onto social media. No:1 full uniform including feather bonnet and long pipers plaid, and pipers sporran, usually worn with the MacKenzie tartan. No:2 evening dress with Charlie jacket or Argyle jacket and cravat tie. I usually wear the MacKenzie tartan (otherwise known as the regimental tartan of the Seaforth Highlanders) although I can also offer a Ramsay Red tartan. During the hot summer months I may opt to wear the No: 2 uniform for comfort. However if you would prefer the more traditional No: 1 uniform then please feel free to request this option. 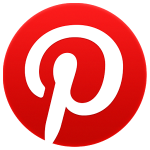 If you would love to see more photographs, there are plenty on my Facebook page, my Instagram page and also on my Pinterest page.